Class is in session for HootSuite University. Since early spring of 2010, we’ve been proud to offer advanced tips and techniques for teams and individuals seeking to increase their strategic knowledge for using social media tools. Since cutting the ribbon, we’ve gathered feedback and tuned up both the campus and faculty to prepare for more interactive learning. The program has already seen a multitude of grads cross the podium and proudly get listed as a certified pro in the HootSuite Pro Directory which is arranged geo-graphically allowing easy connections between consultants and those who need them. HootSuite University is an advanced learning program geared towards businesses and professionals who want to gain comprehensive social media techniques. It’s also great place for those who may not know the ins-and-outs of social media to learn practical tips and tactics. All certified HootSuite U grads are listed in the HootSuite University Pro Directory. Grads can apply these credentials towards future new media roles to advance their careers. 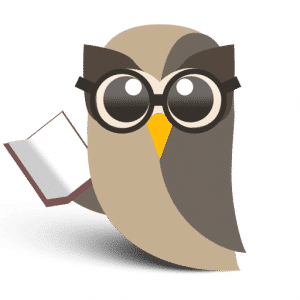 The HootSuite Pro Directory appears on the front page of the HootSuite University website – ideal for people and businesses searching for someone to help them with social media strategy and implementation. The directory is searchable by city/state for efficient match-making between consultants and clients. Indeed, completing the tests to become certified is a great resource builder which will help grads build a network of social media professionals, with whom they can continue to learn and share. We’ve happily hosted experts as guest faculty to present along with the newly anointed Director, Krystyl Baldwin. These speakers have brought a variety of viewpoints and shared their techniques direct from the social media trenches. Recent speakers include: Lisa Kacerosky, Chris Garrett, Rich Harris, Amber MacArthur, Lewis Howes and more. Coming up, we’ve got a whole new roster of webinar hosts scheduled. In November, Mike Mueller is slated to speak about 7 Ways to Fix Up Your Facebook Fan Page. Come December we’ve got Derek Overbey with tips about managing your Facebook Community and brand. Sign up to learn about more upcoming speakers for 2010 and 2011! We want to make the HooSuite University experience as friendly as possible so we’ve made the new site easy to navigate for all users. Members can select which courses they’d like to take, see who else is in the course, check on progress of the program and more. 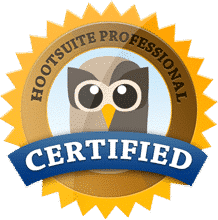 Upon completion of the program, grads will receive a custom HootSuite University certificate, plus the aforementioned Pro Directory listing. Ready to converse with the top social media players and like-minded individuals to advance your skills on the social web? Head on over to http://learn.hootsuite.com for more information and/or follow @HootSuite_U on Twitter. Tuition for the HootSuite Learning Program is $47 a month allowing you to gain advanced skills and promotion without breaking the bank.